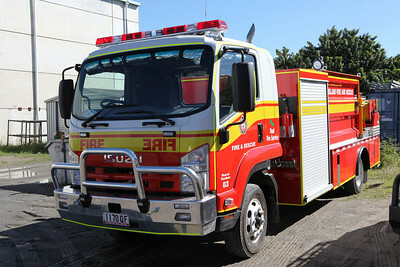 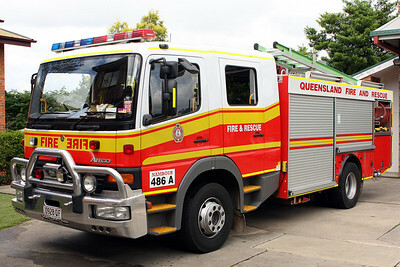 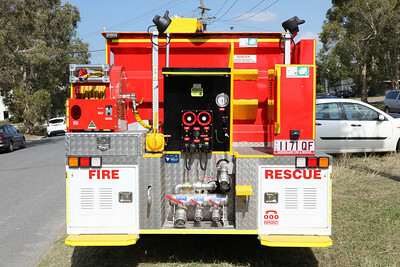 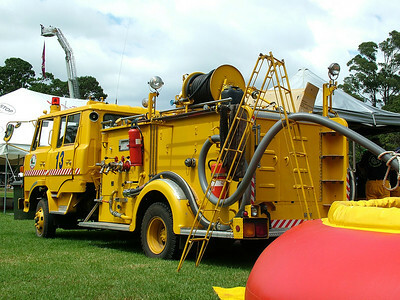 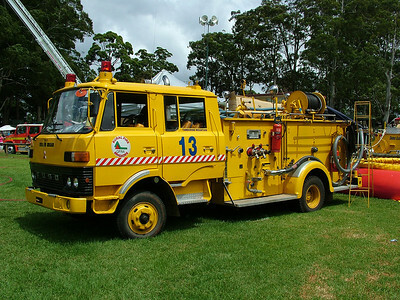 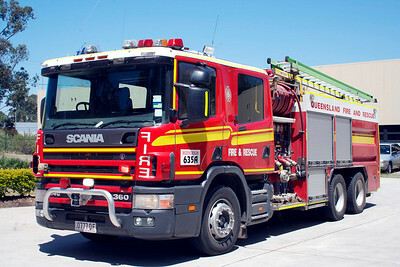 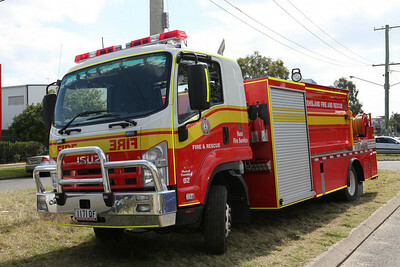 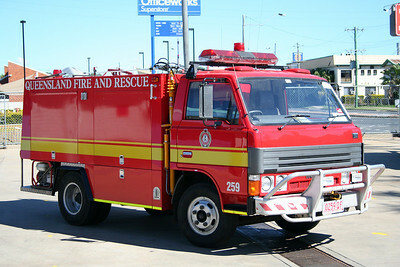 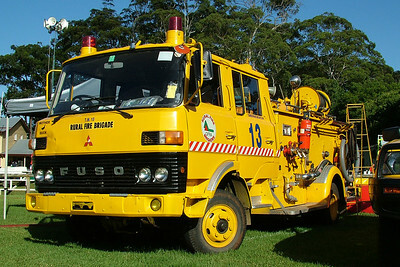 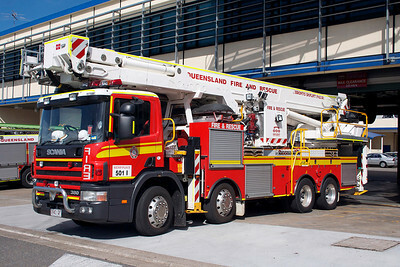 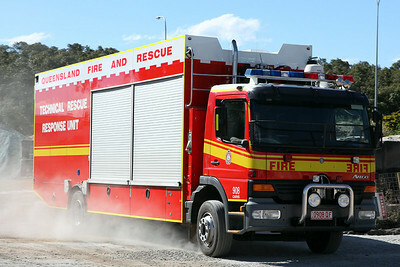 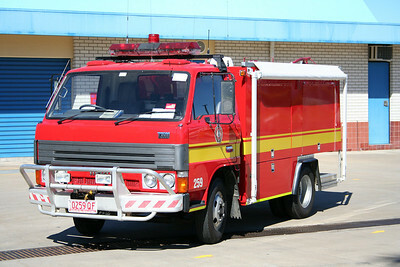 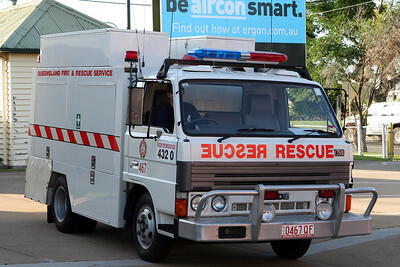 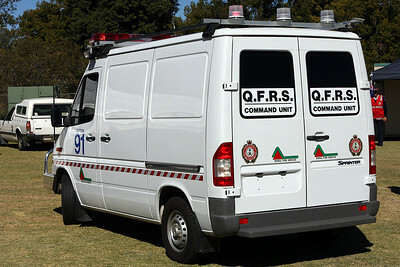 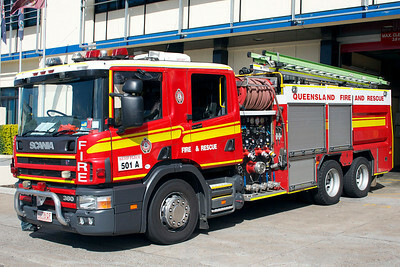 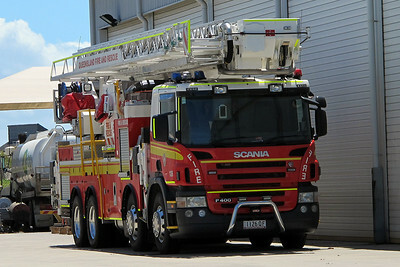 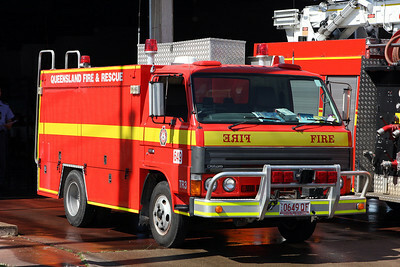 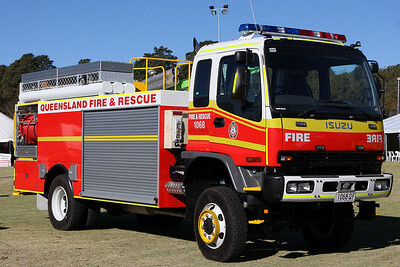 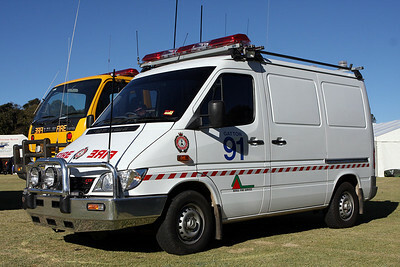 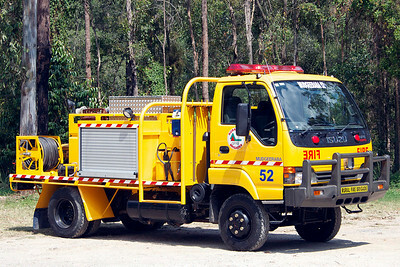 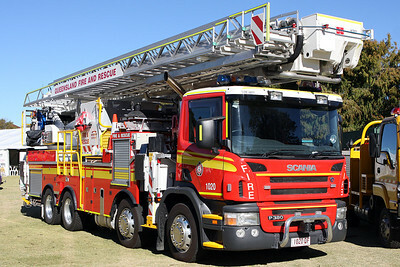 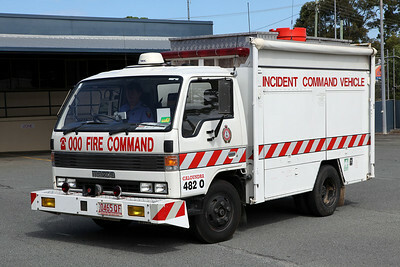 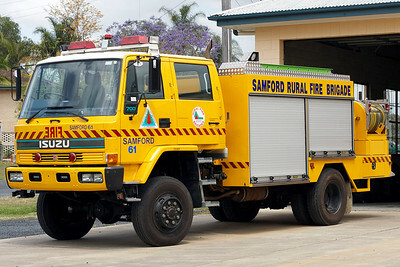 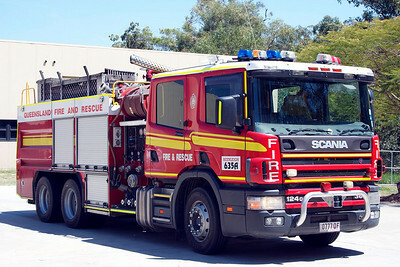 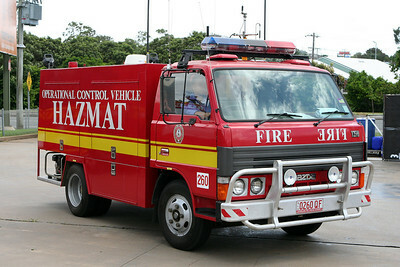 Various photographs taken of the Queensland Fire and Rescue Service ( QFRS ), you should be able to enter the fleet number if you are looking for a particular vehicle or the vehicle type, rescue, ladder and alike. 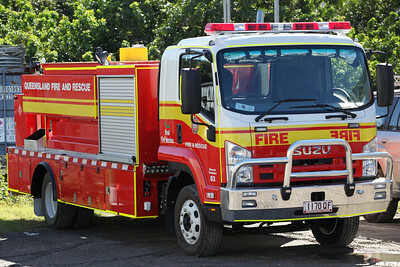 The new heavy support appliances are constructed on a 14 tonne two wheel drive Isuzu FTR700 cab chassis that has seating for 3 crew and has heat reflect curtains installed to provide crew burn-over protection. 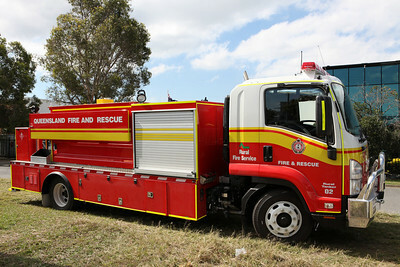 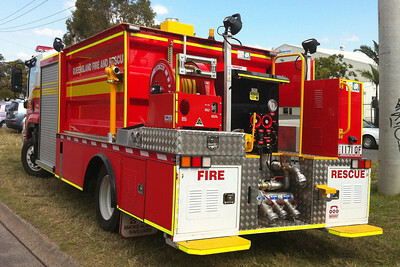 The body has a 6000 litre water tank and is fitted with a fixed diesel fire fighting water pump and hose reel for self protection and carries a 12,000 litre portable dam along with a transportable diesel water transfer pump. 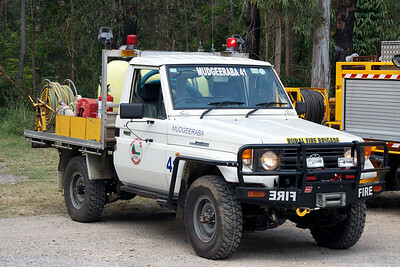 Other equipment includes a 2.2 kva portable generator and stem lighting to assist during night time activities as well as portable refrigeration and a shelter with folding table and chairs for a crew resting area during re-supply operations. 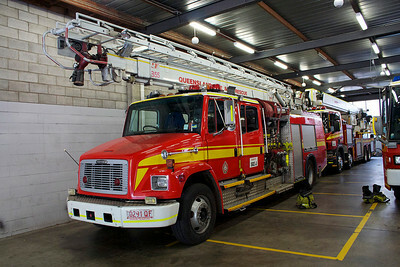 Each appliance also carry's a stock of replacement respirators, goggles, personal protection blankets and fire-fighting gloves as well as four additional drip torch fuel containers, two replacement drip torches and a range of fire hose and adaptors to support fire fighting operations.